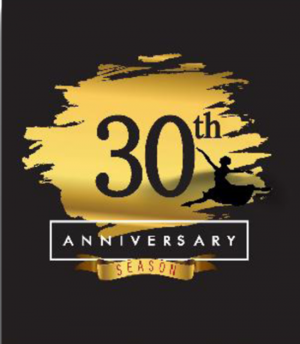 Metropolitan Ballet Theatre & Academy (MBT) invites you to their 30th annual production of The Nutcracker! Every year since 1989, MBT has rung in the holidays by telling the story of Clara and her Nutcracker on the Robert E. Parilla Performing Arts Center stage at Montgomery College in Rockville. The cast features 120 dancers aged 7 to adults, and showcases dancers from MBT’s Academy and pre-professional program, local professionals, and adult volunteer performers. All choreography is set by Artistic Director Elizabeth Odell Catlett, Assistant Artistic Director Katerina Rodgaard, and newest artistic team member and Rehearsal Assistant Michelle Bettin. The directors make choreography changes each year to keep the story and magic alive. Children attending the 1pm performances on December 1, 2 & 9 can meet cast members, ask questions, and get photos and autographs after the performance. Many girl scout groups over the years have used this as an opportunity to earn their Nutcracker or theater patches! MBT has produced and performed The Nutcracker ballet since 1989, when MBT produced the first Nutcracker ever held at the Robert E. Parilla Performing Arts Center at Montgomery College! Since then, MBT has continued the tradition at the same venue to ensure children and adults of all ages get a chance to share in the wonder of The Nutcracker tale. MBT’s Nutcracker has been given 5 stars and excellent reviews by DC Metro Theater Arts in past years, and has the lowest ticket price of any professional Nutcracker production in the area. The full-length production of The Nutcracker runs 2 hours with one intermission, and The Nutcracker Suite runs 45 minutes with no intermission. Also check MBT’s website for information about MBT’s Sugar Plum Tea Party on Sunday, December 16th at the Gaithersburg studio location. There are very limited tickets for 3 tea party seatings. If you are unable to attend the Sugar Plum Tea Party, check out the Thumbelina Fairy Tea Party coming to MBT this Spring 2019! Look out for MBT’s March production, Thumbelina, also a part of the 30th Anniversary performance season. This unique ballet will be accompanied by a new, original work to commemorate this milestone anniversary. All performance and tea party information, including ticket prices, times, and dates, can be found at www.mbtdance.org or call MBT’s Gaithersburg box office at 301-762-1757.